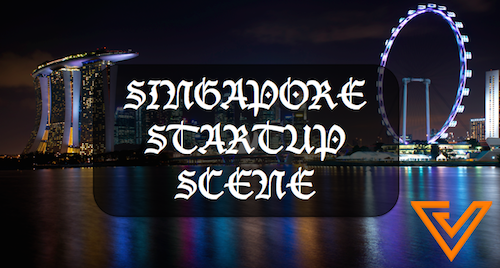 If you are in tune with the Singapore online space and startup scene, chances are you would have heard about RedMart, a grocery delivery company which delivers groceries to your house. Simply pick and choose what you need from its online site, and the items will be delivered to a location at a timing of your choice. Easy. And because of that convenience, the company has grown a lot in the past few years. 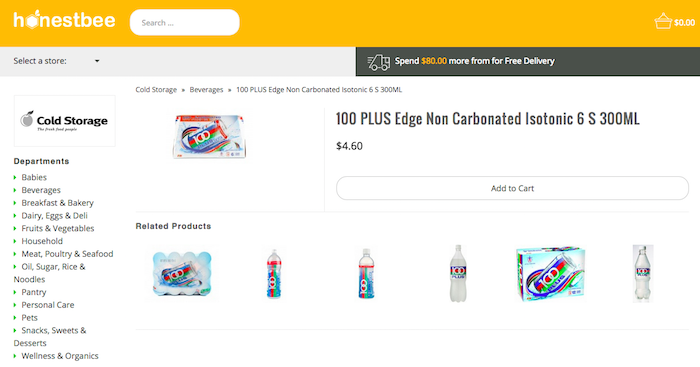 With the success of the online grocery delivery concept proven by RedMart, a couple of other platforms have since started to come up, notably GoFresh, a fresh food delivery site, as well as FairPrice Online by NTUC, which received a huge makeover in an effort to serve those who shop online. While these sites hold their own inventories, a new platform which adopts a different approach to grocery delivery has caught our attention: Honestbee. 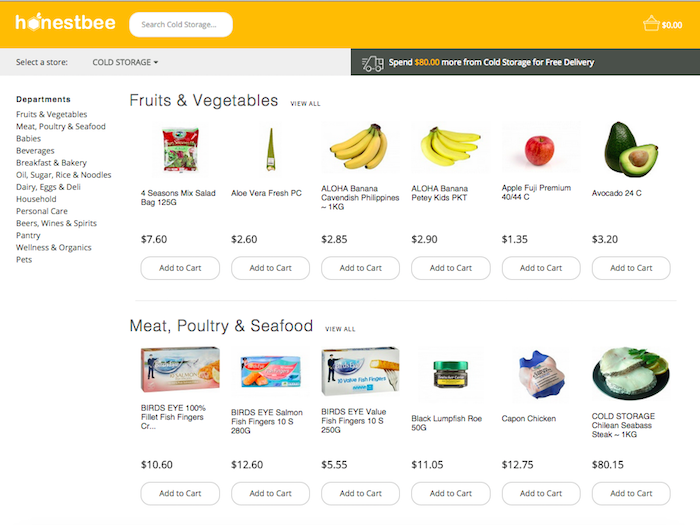 Unlike RedMart or FairPrice Online, HonestBee don’t actually own any inventories. 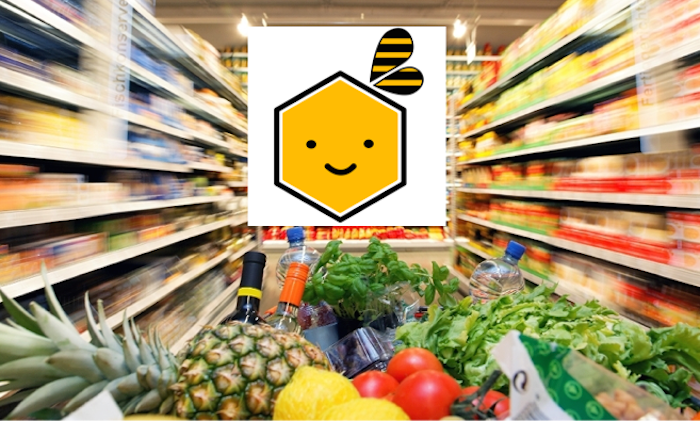 What happens with HonestBee is that you place your orders on the site for the groceries you want, and the platform dispatches runners (or “bees”) to get the groceries and deliver them to you. Well, at least that’s how we understand it. The user experience on Honestbee is exactly what you’d expect of an online grocer: simply choose the items which you want and add them to your cart, choose a delivery timing, and your groceries will be on their way. Currently, Honestbee supports items from Cold Storage, Isetan and Sheng Siong, which are some of the largest supermarket chains in Singapore. 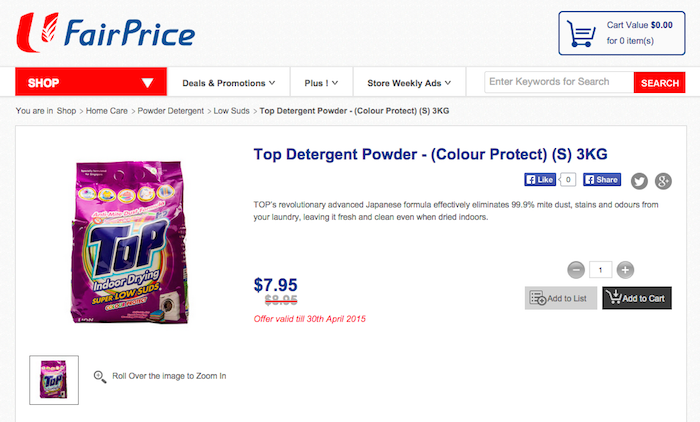 As you can see, RedMart and FairPrice Online have similar pricing structures, and have offers from time to time. On the other hand, Honestbee marks up prices in return for the convenience you enjoy. It also charges a delivery fee on purchases amounting to less than S$80. This is in contrast with RedMart, which offers free delivery on orders above S$75. 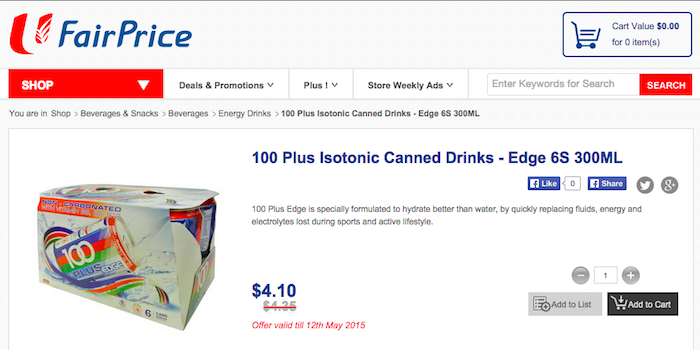 Meanwhile, FairPrice Online does not provide free delivery. Between RedMart and FairPrice, the latter has more flexibility in providing more offers to customers. Would Honestbee work? 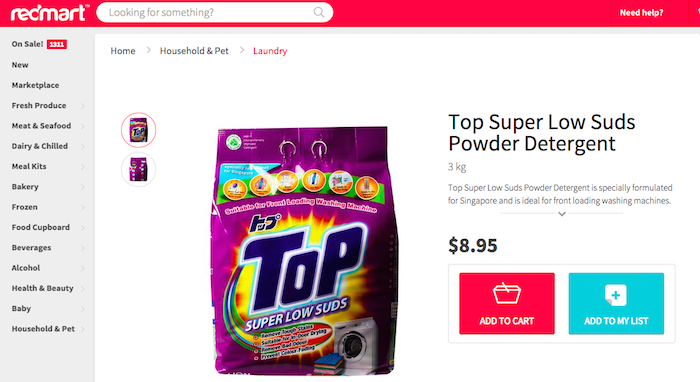 Perhaps, though personally, I’m more inclined to believe otherwise: RedMart has captured the mindshare of online grocery shoppers in Singapore, while FairPrice has the flexibility and inventory to provide more competitive pricing to customers. Honestbee’s model is more scalable though, as it would only need to build up its army of runners to deliver groceries. That in turn has its own set of problems, notably from a margins point of view and a marketplace liquidity point of view, which we examined in an earlier article. Perhaps that is why Honestbee is also looking at Malaysia and Indonesia if the model doesn’t work out in Singapore. One thing we do know is this: grocery stores are not going away time soon, but in today’s digital world, consumers want to interact with retailers — including their grocers — any time, anywhere, and on any kind of device. It is still anyone’s game to dominate this vertical in Singapore. 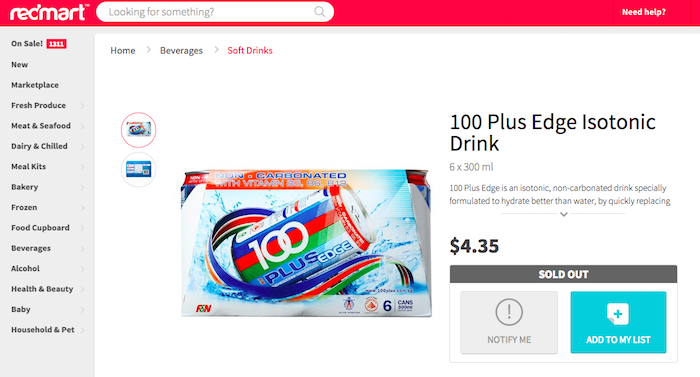 As S’pore’s Online Grocery Shopping Heats Up, FairPrice Launches A Revamped Site!